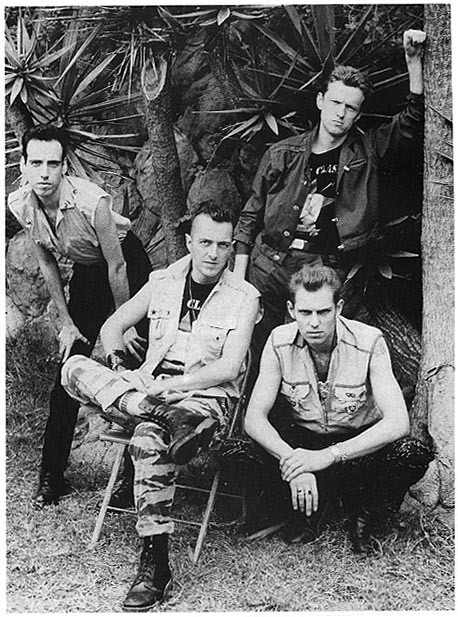 The Clash in 1983, Combat Rock tour. Note the presence of Terry Chimes as drummer. Strummer has dead weasel mohawk & Mick Jones actually has a decent haircut!